It’s April Fools day, which means the internet is basically full of baloney and nothing ca can be trusted or taken seriously. But rather than feed you a lump of imaginary doo-doo, we typically like to share general Apple pranks for April Fools Day around here. This year we’ve got a silly prank that works great for iPhone, iPad, Macs, or any other computer or device that has a lock screen… it’s totally harmless but can cause a brief freak-out to an unsuspecting person… it’s the good old fashioned broken glass wallpaper trick! 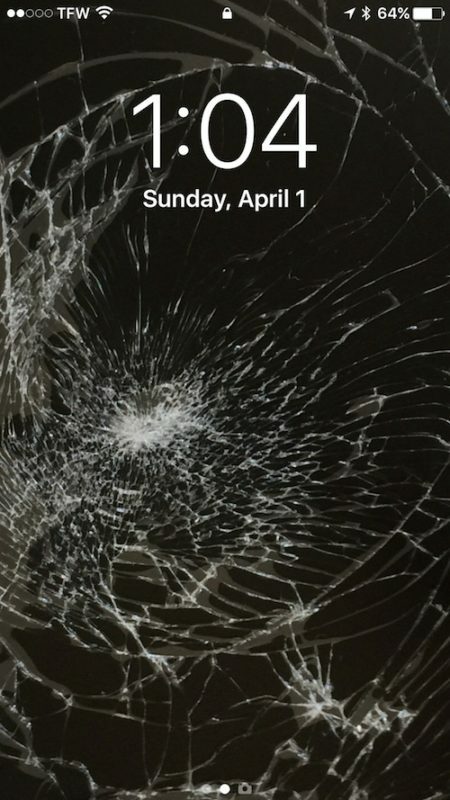 This is a simple prank to play on someone, all you need to do is get a picture of broken glass or a shattered glass screen, and then set that as the lock screen wallpaper image on an iPhone, iPad, Mac, Android phone, computer, whatever you want. The unsuspecting prank target then picks up their device or wakes their hardware to discover what appears to be a broken glass screen… ahhh! Of course, it’s not actually broken, it’s just wallpaper. In the example here I used a picture of an actual broken screen iPhone before it was repaired, you can save this picture yourself and use it if you want to, it is 1500 × 2273 resolution and so it will fit just fine on most iPhone and iPad models, and if you rotate it horizontally it’ll be sufficient for the Mac and desktop too. 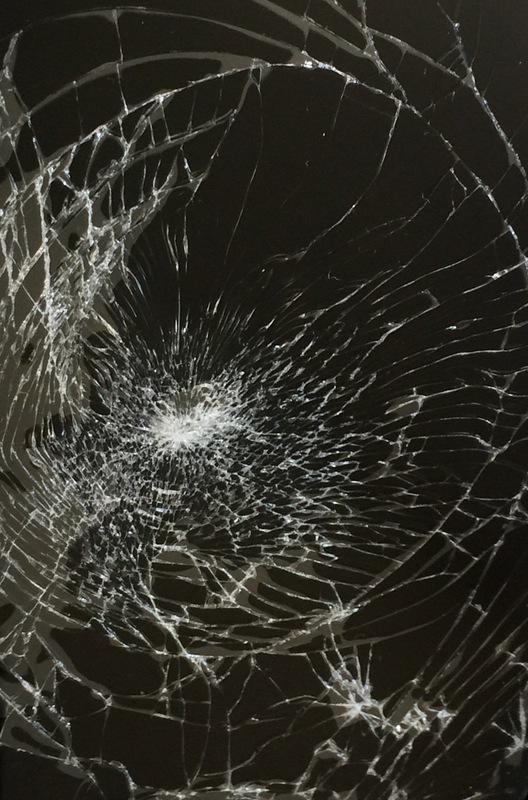 Just save the broken glass picture to an iPhone, iPad, Mac, PC, Android, or whatever else, then set it as the lock screen wallpaper of the target users device. If you aren’t sure how you can learn how to set any picture as the wallpaper image on iPhone or iPad here, just be sure you choose “Set Lock Screen” when changing the wallpaper image for the best effect. For computer users you can set and change a Mac desktop background picture with these instructions. This trick tends to work best on the iPhone or smaller screens because it takes slightly longer usually for the person to realize the display is not actually broken, but I’ve seen it successfully trick someone on even a jumbo screen 27″ iMac as well, so it’s mostly a matter of how convincing the picture of broken glass you use is, and maybe you play it off, or how the person sees the image. Another similar trick that works quite well to prank iPhone and iPad users is the “iPhone is disabled” wallpaper prank, or the prank of taking a screenshot of a Home Screen and setting that as the wallpaper… but we’ve already covered those before. On a more serious note, if you do happen to break your iPhone screen then here are some tips on dealing with that and getting it repaired and fixed. And if you want to browse through some other Apple April fools pranks or just goof off in general, we’ve got you covered on this very-not-serious day of the year. A day late on this, what a shock. Glad you enjoyed the wallpaper prank! Anyway, this is an April Fools joke, April Fools is April 1. Today is April 2, and indeed that makes you a day late to leave your comment. But that’s OK, no big deal!